This was such a fun and exciting birthday present to receive! 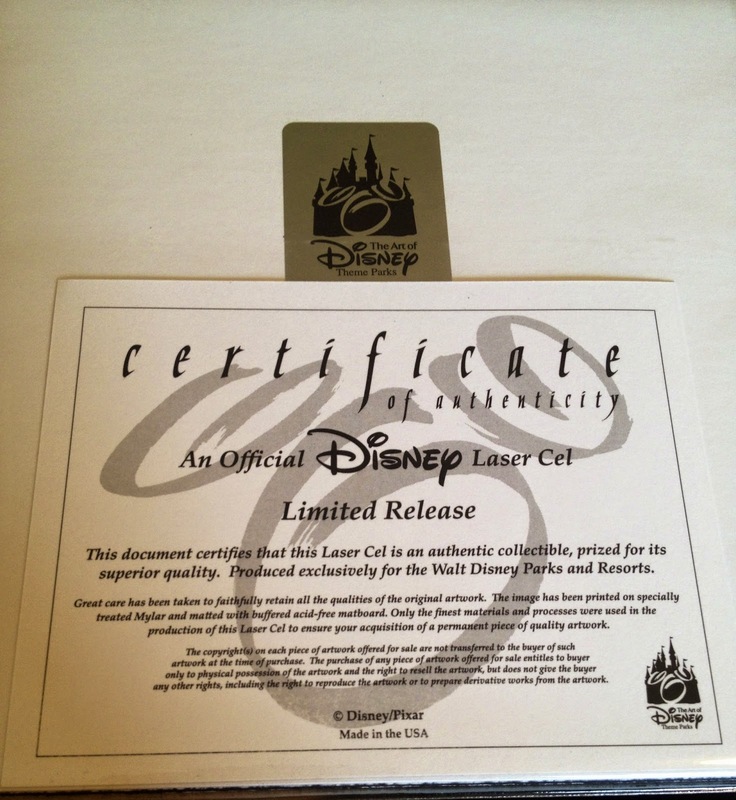 It's a limited edition 3D Laser Cel print that is currently sold exclusively at Downtown Disney at the Art of Disney store. When we were there at the store during our Disney World trip a few weeks back, Brita noticed how much I loved these particular prints there and secretly bought them. How cool of a wife is she? 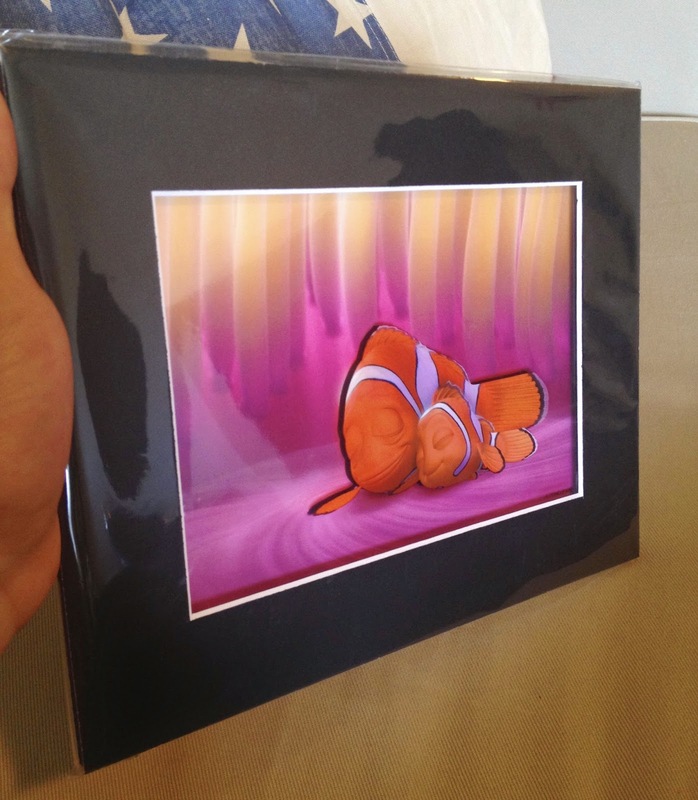 This Finding Nemo one is one of six Pixar themed prints that were released. 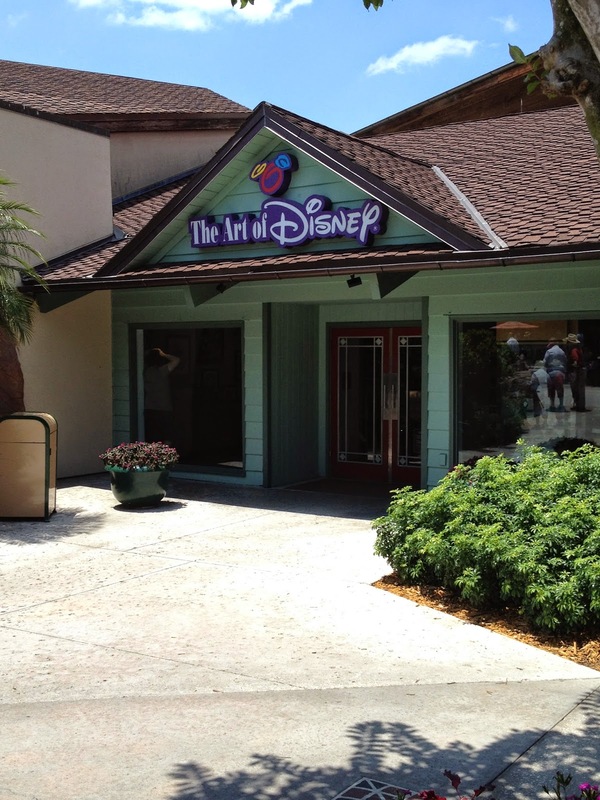 The others include images from Toy Story Toons: Hawaiian Vacation, Monsters Inc., The Incredibles, Cars and Up. I'm not sure how many pieces of these "limited" prints are out there, but few enough that I can see these going up in price very soon and becoming hard to find. 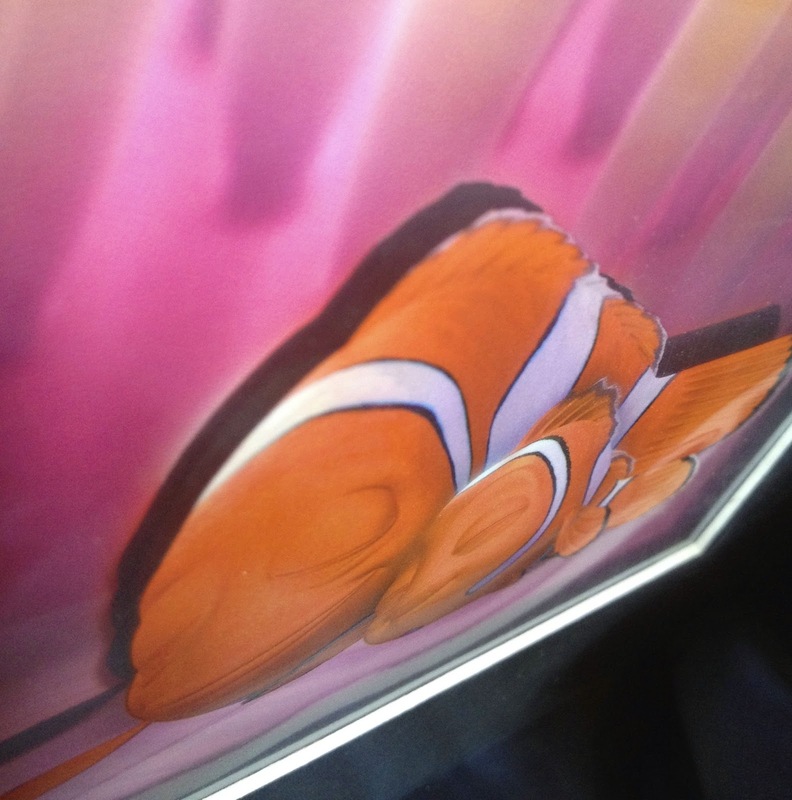 It's hard to tell on here from the picture, but Nemo and Marlin are "raised" (with the background behind them about 1 cm) for the really cool 3D effect. There is more info on the quality and materials used printed on the certificate of authenticity, seen below.